ESPN and Netflix will team up to tell Jordan's story in what sounds like a very ambitious documentary project. Since his final retirement from the NBA in 2003, Michael Jordan has been a bit stingy with his story. He hasn’t been a total hermit (granting Wright Thompson access for a piercing profile in 2013, for example), but he also hasn’t exactly blabbed about himself. There has been no juicy tell-all book, no biopic, no television special, no series of interviews. 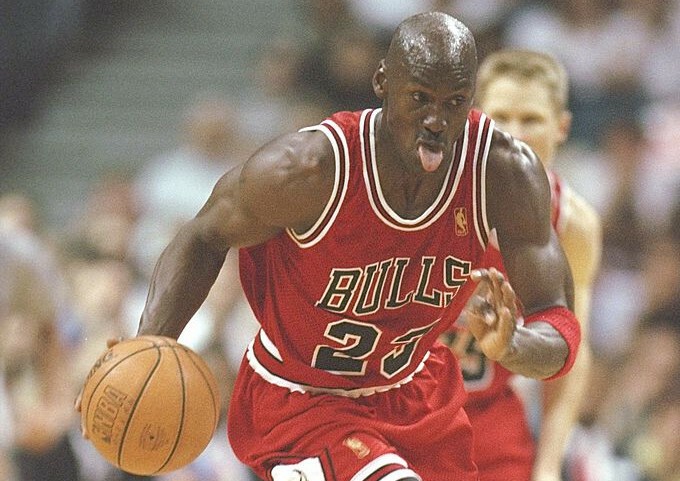 ESPN announced Tuesday that it will partner with Netflix on a 10-part docu-series called “The Last Dance” that will chronicle Jordan’s run with the Bulls during the 1990s. Per ESPN, the project has the full cooperation of Jordan and other key players from those Chicago teams. It will debut in 2019. The series’ trailer, released Tuesday, is narrated by Jordan himself. “The Last Dance” will be produced by Mike Tollin and directed by Jason Hehir, who has previously worked with ESPN on well-received films “The Fab Five,” “The ’85 Bears” and “Bernie and Ernie,” as well as a documentary about the Sacramento Kings that was shelved last-minute amid sexual assault allegations against its protagonist. Most recently, Hehir directed HBO’s acclaimed Andre the Giant documentary. ESPN didn’t reveal too many details about its new Jordan doc Tuesday, besides the fact it will feature previously unseen footage of Jordan’s final season in Chicago. The series will clearly be one of the network’s most ambitious documentary projects yet. If it weren’t, it wouldn’t have been stretched into a whopping 10 parts — twice as many as the Oscar-winning “O.J. : Made in America” aired in. It’s unclear whether those 10 parts will be 30-minute episodes or 90-minute mini-docs, but either way that’s a whole lot of runtime. The new MJ documentary will arrive nine years after ESPN’s “Michael Jordan Rides the Bus,” which chronicled the NBA MVP’s brief dalliance in baseball. When ESPN launched its 30 for 30 series back in 2009, the idea was to tell stories that defined the previous three decades in sports. With this new Michael Jordan film, the network will get to tell the story that defined that period arguably more than any other.